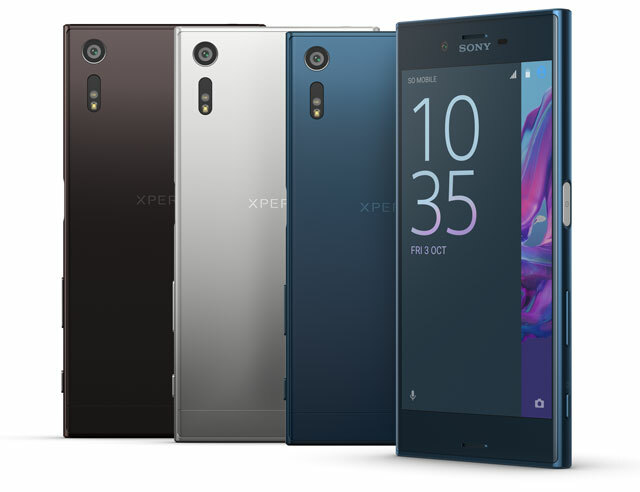 The new 5,2-inch Sony Xperia XZ (R12 999) is the high-end successor to last year’s 5,2-inch Z5, while the 4,6-inch Xperia X Compact (R10 999) is the 2016 update to the similarly sized Z5 Compact. In contrast to the entry-level Xperia XA (R5 999), which proved to be a mixed bag, these latest Sony models are clearly targeted at anyone searching for a premium, high-end device and priced accordingly. So how does the pricey XZ do in practice, and how does it relate to its smaller (X Compact) and cheaper (XA) siblings? The Xperia XZ features a solid and generally comfortable exterior that clearly differentiates itself from rival flagships from Apple, Samsung, LG, HTC and Huawei because of the relatively sharp edges on the top and bottom. Its fingerprint reader is traditionally neatly integrated in the on/off button, located on the right side of the device — a distinctive design aspect since practically all competitive phones have this sensor located either on the front or rear. The only real downside to this side positioned fingerprint reader is that unlocking the phone while the Xperia XZ lies flat on a table or desk is a bit of a challenge. Compared to the 4,6-inch Xperia X Compact (135g) and the 5-inch entry-level Xperia XA (138g), the XZ is relatively heavy at 161g. This might seem marginal, but it adds up. The XZ has official water and dust resistance (not proof!) certification. In theory, you shouldn’t have to worry about getting caught with it in the rain, or even washing off dirt under the tap. The catch is you have to manually and firmly close the Sim card/memory card slot. Also, don’t expose it to liquids other than water, including seawater, salt water, chlorinated water or cool drinks. Abuse and improper use will undermine its IP65/68 rating and ultimately invalidate the warranty. The new Apple iPhone 7 (Plus), to put things into perspective, doesn’t have any ports that must be manually checked and closed. The Xperia XZ and X Compact are Sony’s first models to be equipped with modern, capless USB-C connectors for charging and data transfer purposes. Considering its limited resistance to water, this port should be completely dry before putting it into action. Sony’s official instructions to remove any moisture from the USB port is to shake the device several times with the USB port facing downwards and then use a micro-fibre cloth to wipe it dry. That all being sad, Sony’s new crown jewel generally feels and looks like a solid and premium device, but lacks elegance and refinement when stacked up to most other high-end phones. 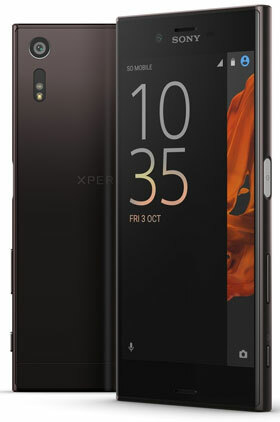 Sony’s latest smartphone features a 5,2-inch screen able to deliver a 1080p resolution using IPS-LCD technology, which is significantly, as well as visibly, higher than the 720p resolution employed on the X Compact and cheaper XA models. In the end, that all adds up to 424ppi of pixel density. In addition, maximum brightness levels of 612cd/m² on the XZ are on par with the Samsung Galaxy S7 (655cd/m²) and better than that of the iPhone 7 (590cd/m²). For an IPS-LCD screen, the contrast ratio, which greatly influences how vivid colours come across, is also very good (1 400:1), but unable to match that of the iPhone 7 (1 650:1) and the Galaxy S7’s Amoled technology. The Xperia X Compact offers a disappointing 1 060:1 contrast ratio. The Xperia XZ’s screen looks great, able to show content in bright sunlight comfortably with no visible pixels and with a top-notch colour palette. The rear/main camera of the Xperia XZ houses a 23-megapixel sensor that matches those of previous models, but which is now accompanied by a laser-autofocus system and special infrared sensor that should help find the right white balance. When directly compared to the captured image quality of last year’s Xperia Z5 device, the XZ indeed seems to be able to produce slightly better photo material. The combination of laser, contrast and phase-detection autofocus also makes the XZ a pretty fast device when correctly focusing on both persons or objects. Even in low-light settings, which are traditionally more challenging for smartphone cameras, the XZ stays on focus. During some short test runs, it flawlessly followed a moving object after highlighting it on the screen. The Xperia kept near-perfect focus on the moving object at all times. In the end, Sony implemented subtle but significant upgrades to the XZ’s camera, including better white balance and almost flawless focusing. Still, when push comes to shove, image quality can’t quite match that of the Apple iPhone 7, Samsung Galaxy S7 or even the new LG V20. Sony’s latest flagship device runs a Qualcomm Snapdragon 820, 64-bit, quad-core processor, which on paper should be a big improvement over the Xperia XA’s beating heart and a minor one when compared to the Xperia X Compact. It also features 32GB of expandable storage space where the “budget” XA only came with 16GB. Connection-wise, the XZ offers all the bells and whistles you should expect from a new, high-end smartphone. It supports the latest 802.11ac Wi-Fi standard, 4G/LTE Cat 9, Bluetooth 4.2 and NFC. It also has a whole range of internal sensors to detect location, position, acceleration and movement. To find out how the raw hardware performance of the XZ related to other Sony models, as well as other high-end phones, I ran two separate benchmarks. Before commencing my test run, I updated all phones to their latest version, performed a factory reset and then left all options on their default settings. I first ran the cross-platform GeekBench 4 multi-core test to get a good indication of its processor and memory capabilities. The test clearly shows that both the XZ and X Compact have trouble keeping up with the high-end handsets from Apple, Samsung and Huawei. Still, in the grand scheme of things, both Sony devices can facilitate smooth operation. Only when stressed with demanding apps and heavy multitasking will they reveal their true hardware limits sooner than the faster phones. After GeekBench, I confronted the Xperia XZ with 3DMark Ice Storm, a benchmarking tool that focuses on determining the maximum graphical (GPU) performance, but also uses some main CPU and memory resources. This time, the Xperia XZ could easily rival the Galaxy S7’s horsepower. It is no match for the latest iPhone, though. The Xperia X Compact, on the other hand, fails to get along with the big boys. To power all its hardware, the Xperia XZ houses a 2 900mAh battery, which is slightly higher than the 2 700mAh on the Xperia X Compact and a considerable step up from the XA’s 2 300mAh capacity. In addition, the XZ has a few nifty tricks up its sleeve which aim to manage battery life to prolong future battery decline. It tries to learn your charging patterns and adapts to them, resulting in up to twice the battery lifespan — according to Sony, anyway. For instance, if you routinely connect the XZ with the charger at the end of every day, it will stop charging when it reaches 90% and add the last 10% right before you get out of bed the next day. The latter is most likely to be determined by the phone’s array of internal sensors, measured over a period of days. To find out how long the Xperia XZ lasts on a fully charged battery, I ran two benchmarks to emulate realistic user scenario’s while keeping screen brightness of all devices identical, simply to keep the comparison fair. The browser stress test, which follows a script that continuously keeps the devices browsing and scrolling through various websites until there is no more power left, showed that the XZ will get you through a full day. Taking some extra idle time into account, the Xperia XZ will last for about nine-and-a-half hours. The Xperia X Compact, with a smaller screen and lower resolution, but only marginally smaller battery, seems to have hit the sweet spot. It will last for more than 10-and-a-half hours, according this test. Still, both new Sony devices are clearly no match for the Galaxy S7 and iPhone 7. The second test stressed both phones by displaying non-stop full-HD content. This time, the XZ and X Compact remained functional for a decent eight-and-a-half hours, but continued to pale in comparison to the Samsung. With the Xperia XZ, Sony has managed to deliver a pretty good smartphone, but not a great one. It has a great screen, fast rear-camera autofocus, is water resistant (if you don’t forget to close the ports) and delivers smooth performance at an all-day-long battery life. What the XZ lacks, though, is elegance, refinement and innovation when stacked up to other premium, high-end smartphones. Compared to its predecessor, the Xperia Z5, the improvements are subtle and generally not that ground breaking, which is a missed opportunity given its steep price point. Huh? Sony models have had IP certification since 2013. Waaay before the competition.